On April 6, 2007 Ed Cavin and I (Harry Lee) set out to find an authentic specimen of the type species of Daedalochila. 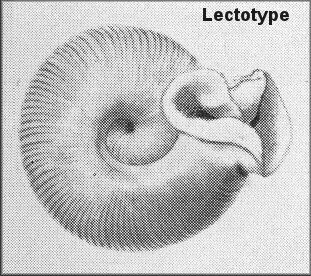 We had a very specific quarry in the cross-hairs - the snail that America's first native-born conchologist named Polygyra auriculata, the Ocala Liptooth. Say (1818: 276) wrote: "This curious species we found near St. Augustine, East Florida, in a moist situation. They were observed in considerable numbers ..." Say never illustrated his snail, but an early engraving (Binney, 1857: pl. 47, fig. 1 - see image, left) was consulted. The text and figure gave us a bit of reassurance for the feasibility of our mission, but, after nearly 200 years, we expected to encounter a considerable loss of suitable habitat and other environmental degradation. The expedition certainly wasn't a pre-ordained slam-dunk. To improve our chances of success, a closer look at the history of Say's discovery was in order. In the autumn of 1817 Say set sail from Philadelphia, where, at age 40 he was one of the members of the nascent Academy of Natural Sciences (ANSP), only in its fifth year of existence. In the company of naturalists William Maclure, George Ord, and Titian R. Peale he made his way to Charleston and Savannah, where the group chartered a 30 ton sloop, which eventually took them into the St. Johns River (Lee, 1976). On Jan. 30, 1818, Say wrote from St. Mary's, Georgia: "... we shall be off in about three or four days for the promised land, a portion of which is now in sight. Our plan is to ascend as far as convenient the River St. Johns, pursuing pretty much the track of Bartram, my excellent and ingenious relative" (Weiss and Ziegler, 1931: 55-56). 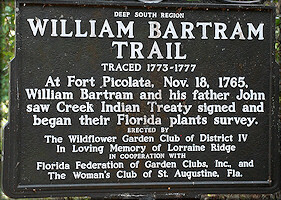 [Pioneer Florida naturalist William Bartram was Say's great uncle and William's father, John, was his enate great grandfather.] Later Say wrote "This noble river we ascended as far a Picolata, an old Spanish fortress now in ruins, about 100 miles [a considerable, but unintentional exaggeration] from its mouth ... From Picolata we crossed the country on foot to St. Augustine" (Weiss and Ziegler, 1931: 58; also see the plaque shown below, which includes a tribute to late Jacksonville Shell Club veteran member Lorraine Ridge). That was probably in late Feb. or March, 1818. Fast Forward to April, 2007 and look, as we did, at another historical plaque (illustrated below) positioned at the SE corner of the intersection of SR 13 (The Bartram Trail, blazed by Say's excellent and ingenious relative) and the western terminus of CR 208. Judging from Say's narrative and the plaque's indication, it seems a near certainty that the latter highway follows the course of the carriage road taken by Thomas Say and his co-expeditioners from Picolata to St. Augustine. We drove all twenty miles of CR 208 to the heart of the nation's oldest city. 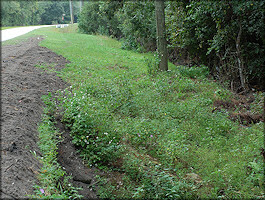 The road passes through potato fields, other agricultural land, pine flatwoods, low deciduous forest, and swampland. The last few miles are heavily developed, with commercial and residential real estate dominating the landscape. Among historic experiences in field biology, this Spring, 2007 expedition to a place less than an hour distant may be a bit on the mundane side, but to the two of us it was a triumph. Doing our homework, braving the hazards of snake envenomation, and exercising a modicum of tenacity paid off. A piece of Thomas Say's legacy is reawakened after nearly two centuries of quiet repose, and we 21st century "pioneers" experienced the hunt, with all its passion and suspense, while executing a well-reasoned game plan. Binney, W. G. 1858. The complete writings of Thomas Say on the conchology of the United States. H. Bailliere Co., New York. 1- 252 + 75 plates. Binney, A. [ed. A. A. Gould], 1857. The terrestrial air-breathing mollusks of the United States and the adjacent territories of North America. vol. 3. Little Brown, Boston. pp. 6-40 + 84 pls. Lee, H. G., 1976. Thomas Say America's first malacologist. Shell-O-Gram 17(11): 1-3. November. Pilsbry, H. A., 1938. The type of Polygyra Say. 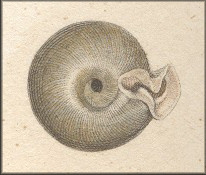 The Nautilus 52(1): 22-24. July. Pilsbry, H. A., 1940. Land Mollusca of North America north of Mexico vol I part 2. Academy of Natural Sciences, Philadelphia. vi + 575-994 + ix. Aug. 1. Weiss, H. B. and G. M. Ziegler, 1931. Thomas Say Early American naturalist. Charles Thomas, Baltimore. xiv + 1-260 + 26 pls.